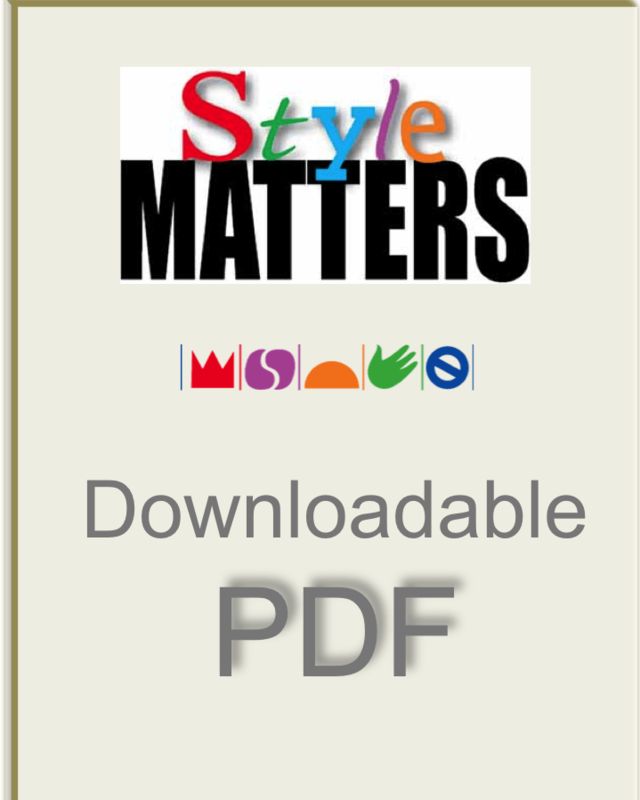 Identical to our printed version, Style Matters in PDF is for trainers or users who want to print their own copies. Buy one PDF file here and print it out. If you want to use it for several people, buy the required number of Rights to Reproduce below. YOU NEED A PASSWORD TO OPEN THIS FILE; see the Purchase Order in your inbox. Also available in French. After purchase you will be able to download this PDF file immediately or any time in the future. To make more than one printed copy of it, purchase Rights to Reproduce below. The file is for your own use alone; it is illegal to circulate the PDF file to others.